Proof Portfolios can be purchased in two different sizes. This book can printed with several different options for number of pictures on the page. The more pictures on the page, the smaller the picture will appear. 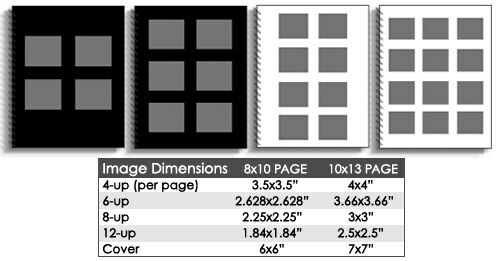 All pages are printed with the frame # under the picture to make it easier to order.